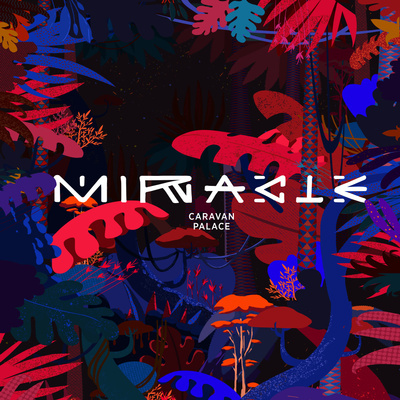 After more than a year hunkered down in their subterranean Paris studio, Caravan Palace have emerged into the light with a brand new single, ‘Miracle’. An infectious groove-laden piece of electronica which sees their sound evolve once again, this is the first new music from the band in over two years and first taste of the band’s new album due for release in spring 2019. 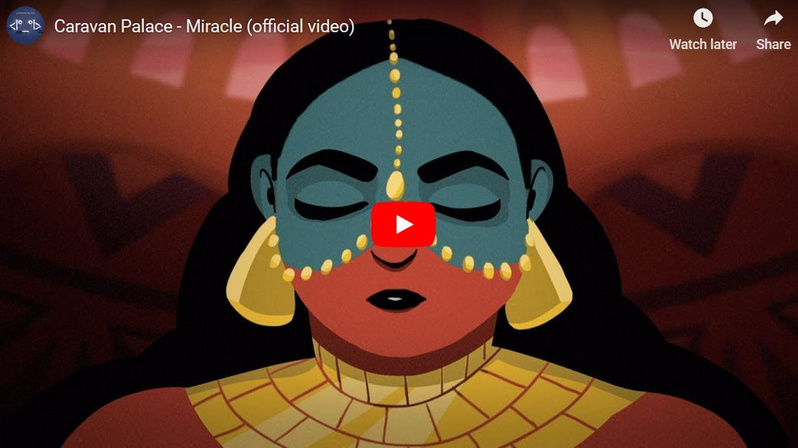 ‘Miracle’ is getting radio support on BBC Radio 1’s Future Sounds with Annie Mac (UK) along with dozens of other stations worldwide including BBC Radio 6 Music (UK), KCRW (USA), and Virgin (France). One of the most viral acts in the digital world, Caravan Palace currently has 1.1 million YouTube subscribers, 1.3 million monthly listeners on Spotify, ¼ billion Spotify streams, 183 million YouTube plays of the ‘Lone Digger’ official video, 432 million YouTube official channel plays, 1.6 million video uploads on TIKTOK (world’s most downloaded app), 20+ million meme views. The band's audience has grown beyond recognition since the last album in 2015, with the biggest increases in young people. 68% of the Spotify audience is under 27, 85% of the YouTube audience is under 35. The band has seen exponential growth in their profile on TikTok, with currently 1.7billion user video uploads on the #posechallenge of which the band's song ‘Wonderland’ was used widely, over 1.6m videos using that song.